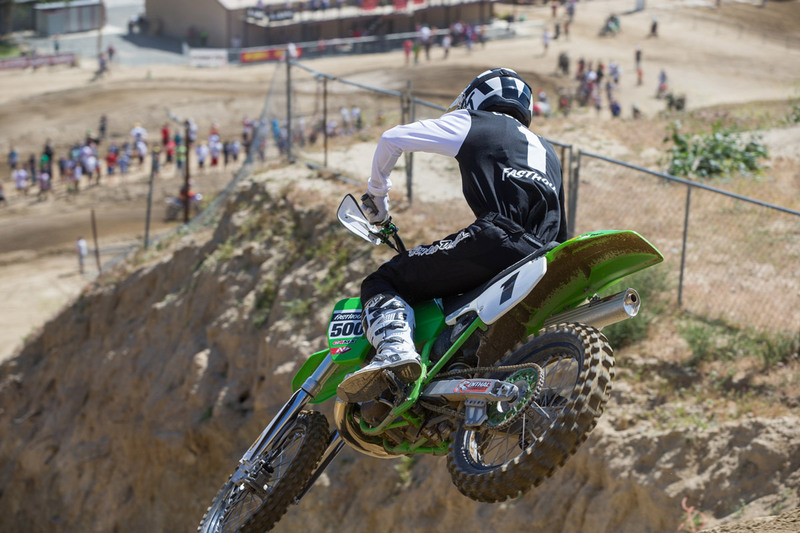 Since the beginning of motocross, the distinctive smell of premix has been associated with racing. 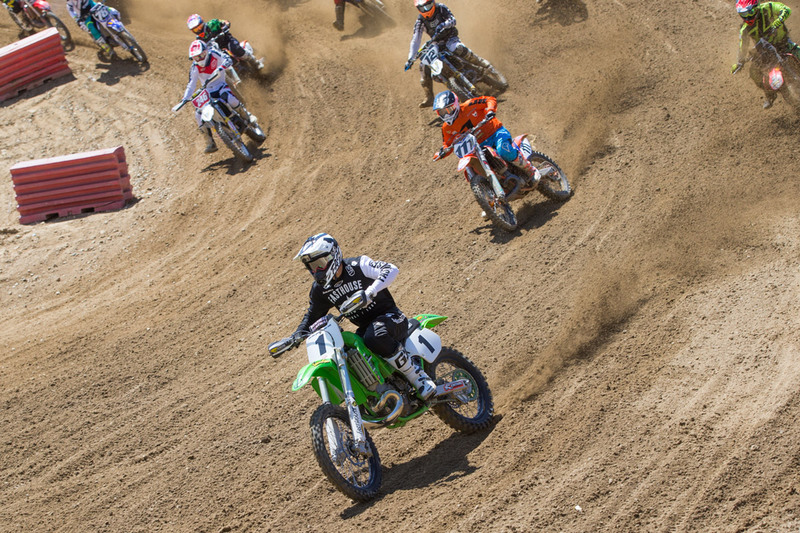 Even into the early 2010s, two-strokes ruled while the heavy, underpowered, and cumbersome four-strokes were the laughing stock of the races. 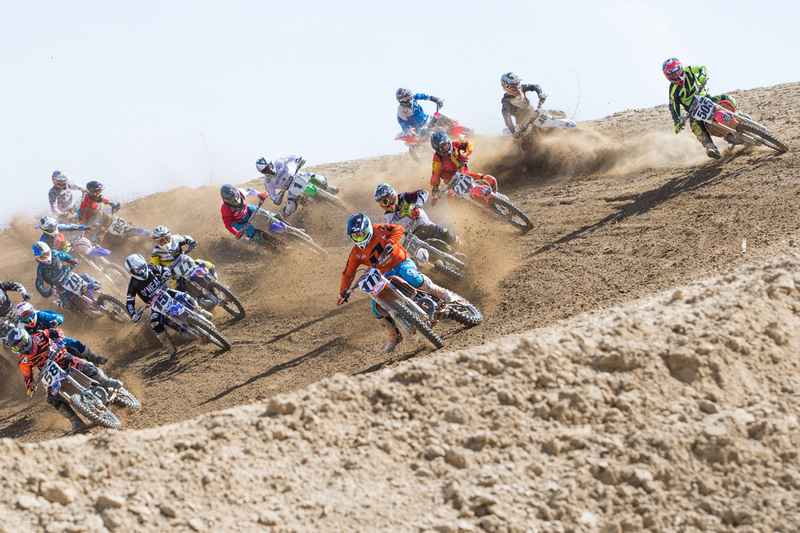 Nowadays the landscape of motocross has changed drastically; four-strokes have now surpassed the premix-burners in popularity, power, and handling, as most serious racers only use the bikes for play-riding with buddies. 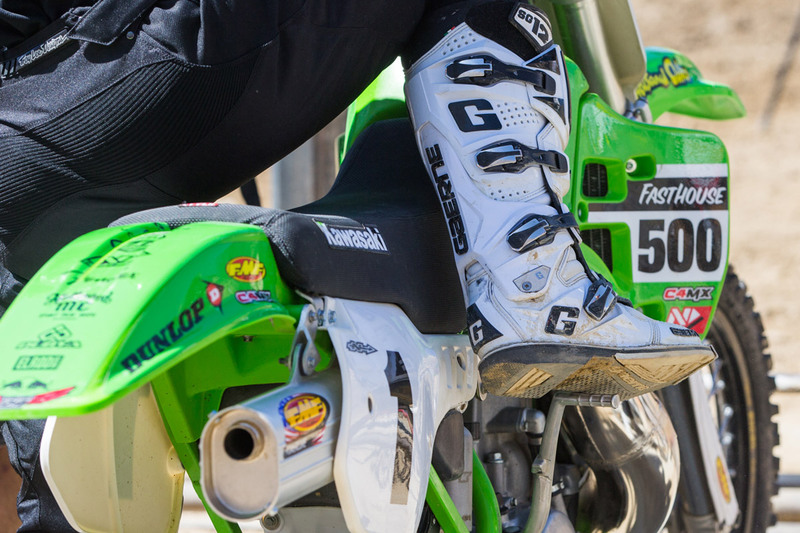 Once a year, though, the cobwebs are dusted off, gas is mixed, and the nostalgic sound of yesterday reverberates off the steep hills of Glen Helen Raceway for the MTA Two-Stroke Championships in San Bernardino, California. 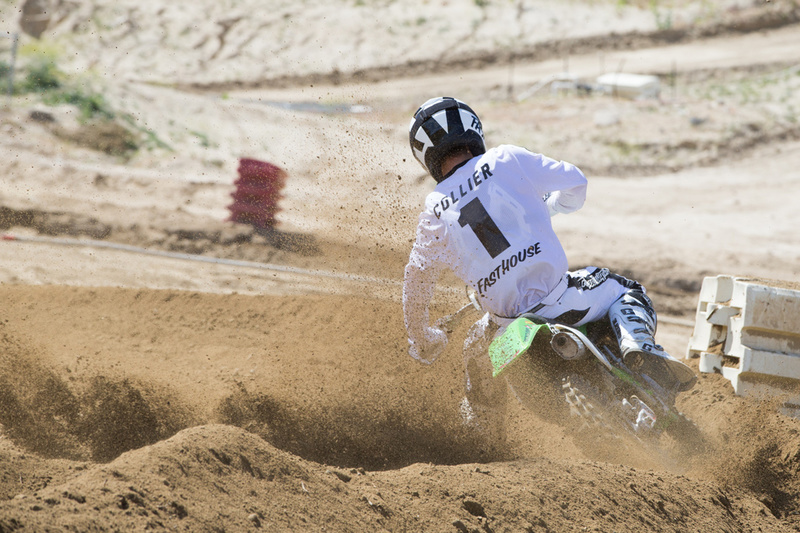 In the first moto, things went perfectly to plan for Collier, as he ripped a massive holeshot and began to quickly check out, opening up a sizeable lead over the field in only a matter of laps. Unfortunately, however, with two laps to go, Collier’s perfect race went south quickly, “I had a nice lead going on, and I noticed that something wasn’t right with the bike,” Sean said. 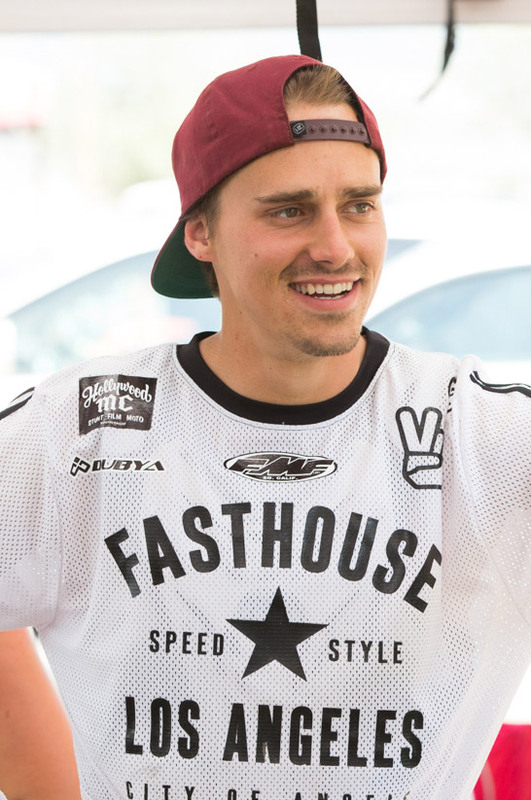 “With two laps to go, I ended up having the rear shock bolt come out. I hit a square-edged hole before a hip in the back, and all of a sudden I felt something. I still went for the next table, but it was like landing on a hard tail. Obviously, the bike was choppered out after that. 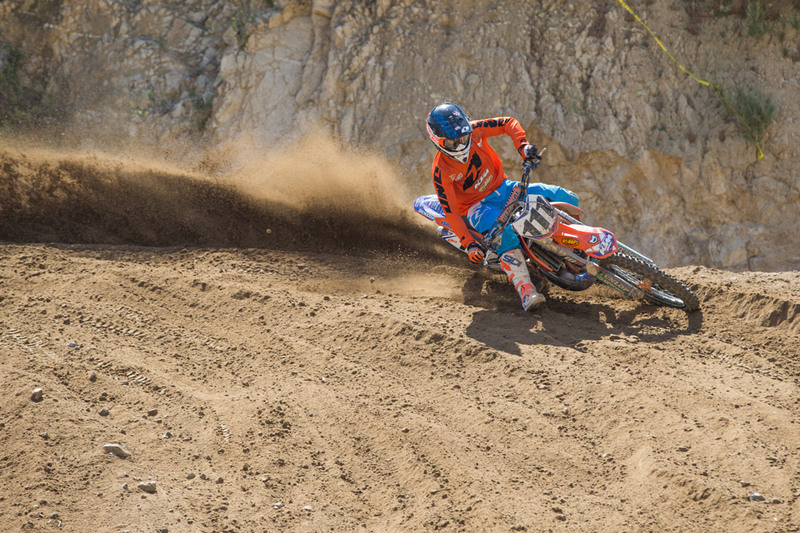 I thought my day was done.” With that, the moto win was handed to KTM’s Michael Sleeter. 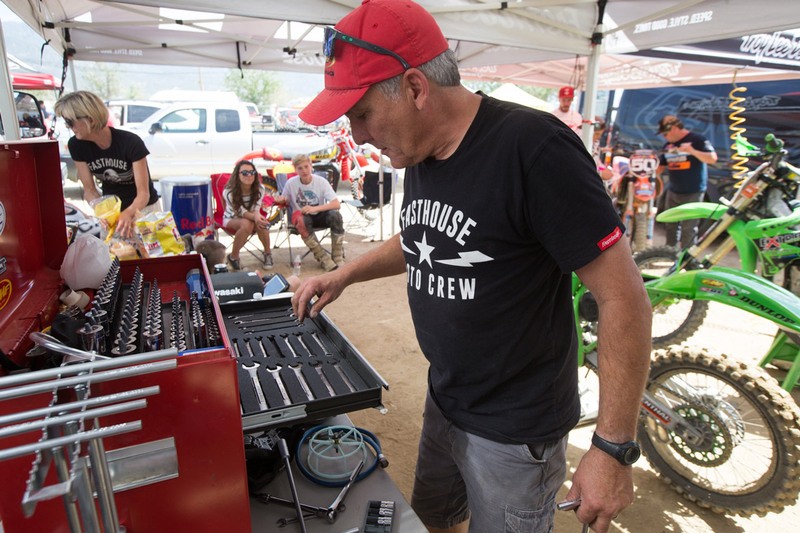 And following a long push back to the pits, the Fasthouse crew immediately got to work on Sean’s wounded steed, scrounging the pits to patch the KX back together before the next gate drop. 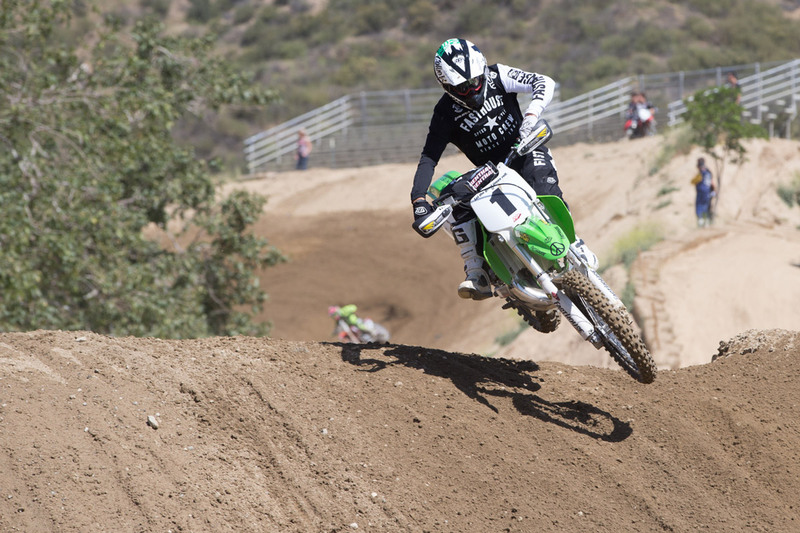 In the second moto, Sean spun off the gate, garnering a mid-pack start, however, before the first lap was finished, he moved into second and began pressuring Rockstar Energy Husqvarna’s Colton Hacker for the lead. Within one more lap, Sean took of the point position and never looked back. Aboard what he lovingly referred to as his “Frankenstein” bike, which was literally held together by Zip Ties and Duct Tape, Sean checked out to take the second moto win ahead of Hacker and first moto winner Sleeter. In the overall results, Sean’s DNF/1 was good enough for 15th while Sleeter took the win followed by Hacker and Yamaha-mounted Killy Rusk. All told, in spite of the mechanical failure, the day was a resounding success, as everyone laughed, tossed back a couple cold ones, and hung out at the dirt bike track. For now, enjoy the short video teaser and photos, but be sure to check back early next week for a full video recap of the preparation it took to get the mighty 500 purring like a kitten, and what it was like for Sean and the crew to get through the day. Kicking over the mighty KX500 took some strength... and fresh riding boots. Sean's mechanic Dave worked a miracle in getting the bike back together. Sean pulled a massive holeshot in the first moto. KTM's Michael Sleeter took home the overall with a 1-3 moto tally. Rockstar Energy Husqvarna's Colton Hacker was second overall and battled with Sean in the second moto. This was all Sean's competition saw of him in the second moto. In spite of some mechanical problems, Sean was all smiles. Sean was buried back in the pack during the second moto start. Ricky Diaz helped keep Sean on the bike with some sharp pegs.